The video above gives a good overview of the new offerings, which include drawing on the computer, intro to programming, and animation. As I write this, I’m sitting next to my eleven-year-old daughter, who has just finished the Intro to Drawing course and is gleefully experimenting with changing values to move her shapes around the screen. As the video course got underway, she actually gasped in delight when the instructor used a Pokemon metaphor to explain what a function is. I’m a big fan of Khan Academy’s mission and method, and my teenagers make heavy use of their science, math, and history videos. Our homeschooling plans for the upcoming year involve a great deal of Khan biology and art history. My seventeen-year-old is already signed up to take Game Design and 3D Art at Giant Campus Academy (an interactive online school we’ve had a great experience with — its courses, however, are far from free), but I can say with certainty that my fourteen- and eleven-year-olds will be making ample use of Khan’s new comp sci lineup. In fact, the eleven-year-old has just this minute moved on to Intro to Coloring. 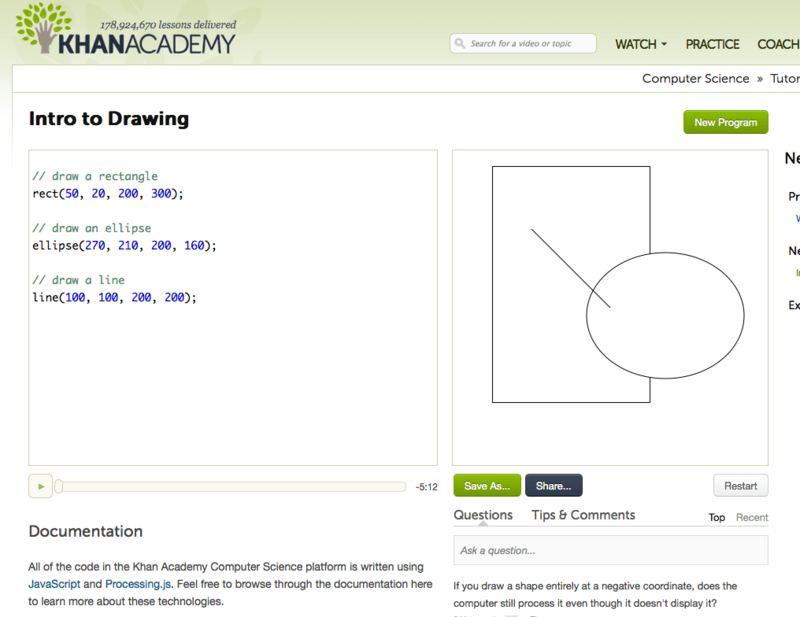 Thanks for making learning so much fun, Khan Academy!